Store more with the Whirlpool 22 Cu. 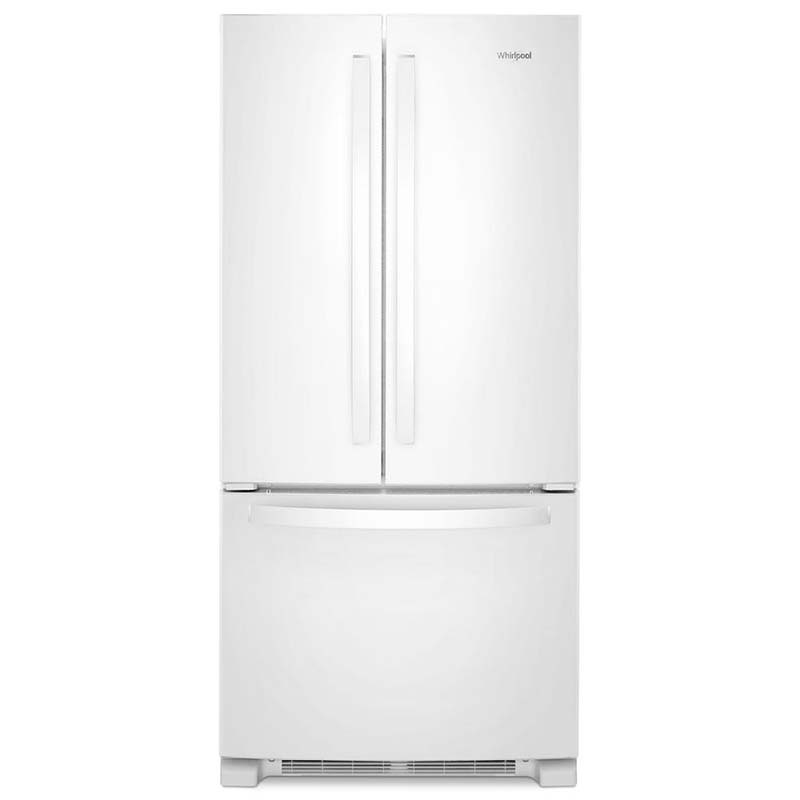 Ft. White French Door Refrigerator, featuring wall-to-wall frameless glass shelving. This ENERGY STAR certified model conserves energy and saves you money in the process! Its full-width, temperature-controlled drawer is the perfect spot to stash wide items, such as sheet cakes and party platters, and its factory-installed ice maker allows you to enjoy a cold beverage anytime.